Cycle House promises four types of classes: Fun Ride, Theme Ride, Express Ride and Endurance Ride. Ever since they started last January 2017, they have only been offering their trademark Fun Ride and Theme Ride. Fun Ride is a 55 minute, fat-searing, full-body. The format of the class is similar to other cycling studios, incorporating drills, dumbbell exercises (either seated or while cycling), and freestyle time. You can find Cycle House in the 8th floor of Padilla Bldg. on F. Ortigas Jr. Rd. (formerly known as Emerald Avenue) in Ortigas. They don’t have a water dispenser so make sure you bring your own water bottle. Showers and lockers are available for riders’ use. After the first ride, shoes that come with a face towel can be rented for P50/ride. Yup, they recommend riders to purchase their own shoes. Cycling shoes with Look Delta or SPD cleats are compatible with CycleHouse’s pedals. The first timer’s package costs P1,000 for three rides. Regular rates are P800 for one ride, P3,500 for five rides, P13,000 for 20 classes, and P25,000 for 50 classes. They also offer monthly subscriptions for limited slots only: unlimited rides for P8,999 per month with a one-year commitment and P6,999 per month for their 1 ride/day promo also with a one-year commitment. To purchase their packages, you are required to pay the annual membership fee of P2,000. Consider yourself lucky if you’re a member of the Elite Boxing and Muay Thai Gym in Ortigas because your membership fee will be waived. 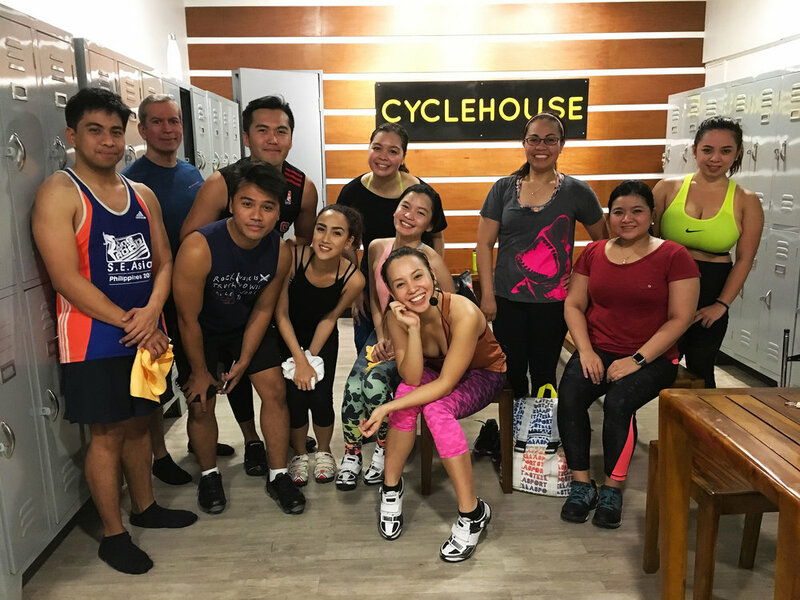 For people working in Ortigas, Cyclehouse offers a convenient and relatively affordable option to satisfy your crave for spinning classes. Just expect a rental fee for the cycling shoes, if you don’t have your own yet. The friendly and pretty teachers would take time to know your name and talk to you after class. Overall, if you want a quick cardio workout that’s not running like me, spinning at cyclehouse would be great to try. We want to know what you think! If you've been to Cycle House, leave a comment below and tell everyone about your experience.